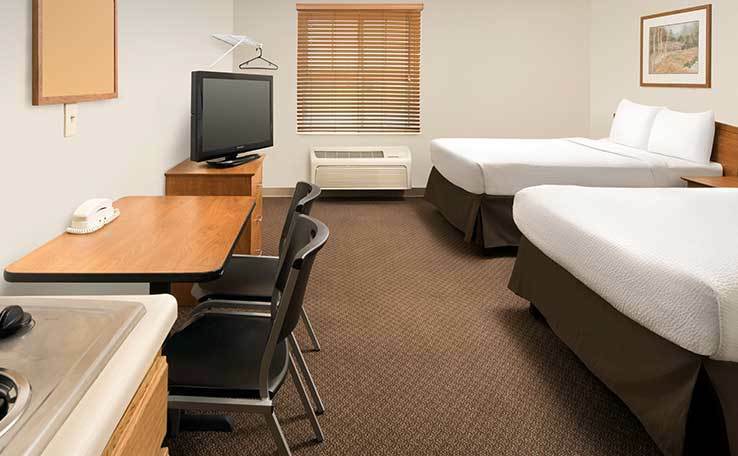 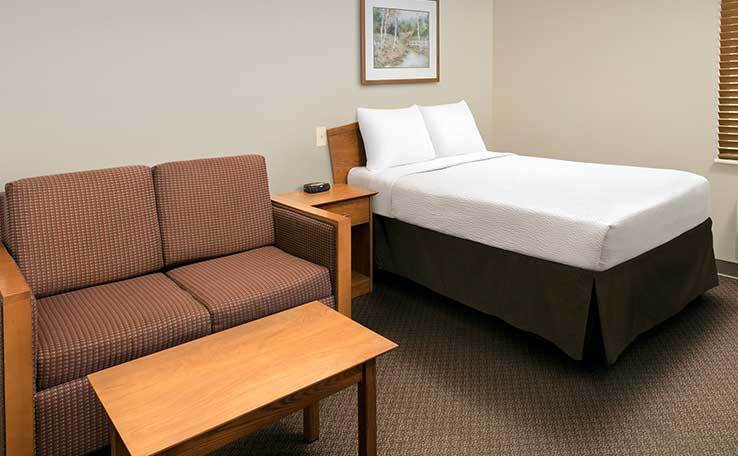 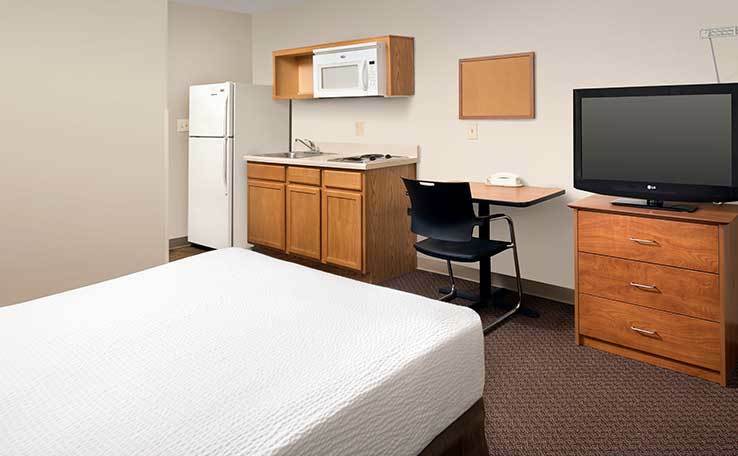 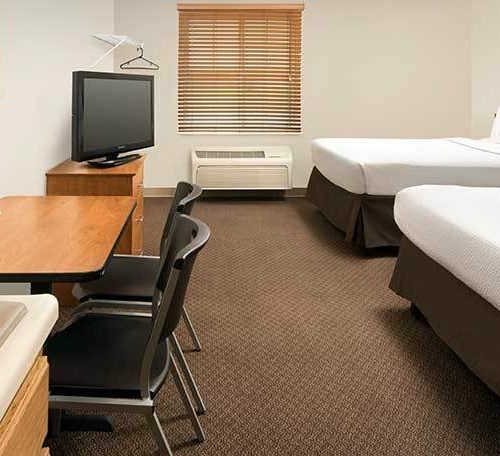 WoodSpring Suites-Airport I-526 is an extended stay hotel. 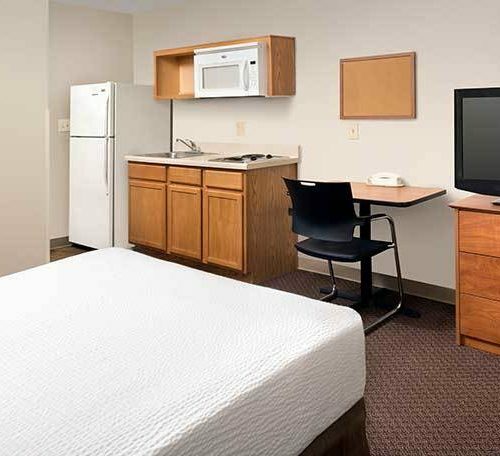 The hotel – with weekly rates, monthly rates, and low nightly-rates – is a great choice for military members, students, medical professionals, tourists, visitors, and those moving within and to the Charleston / North Charleston, South Carolina area. 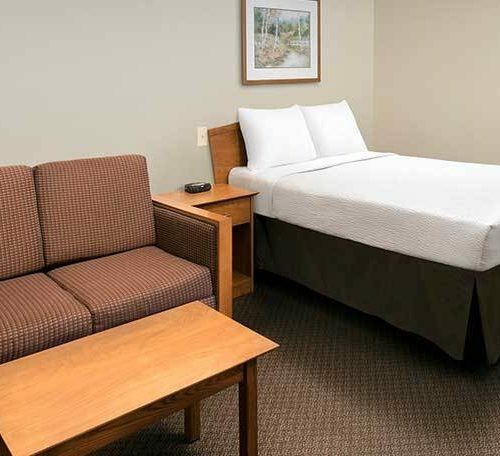 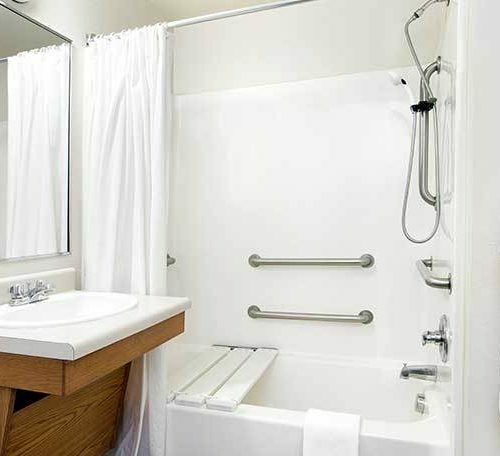 This pet-friendly hotel is 100% smoke-free and offers non-smoking hotel rooms in three room types, all with in-room kitchens, double-/full-sized beds, and sleeper sofas. 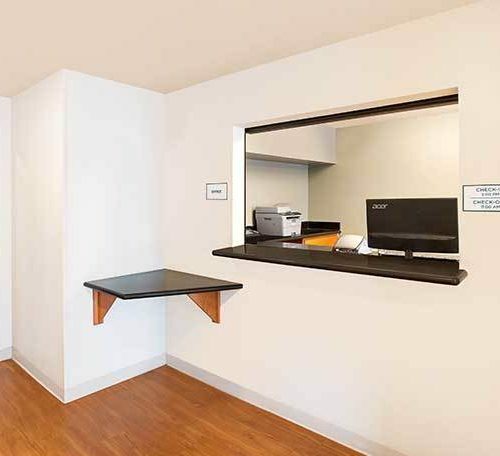 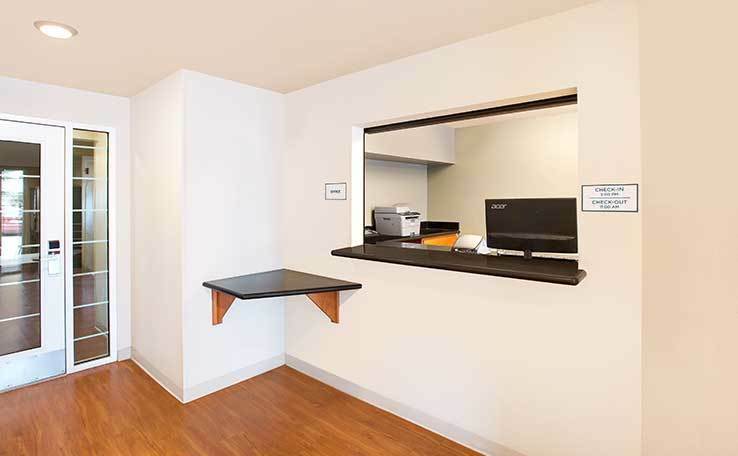 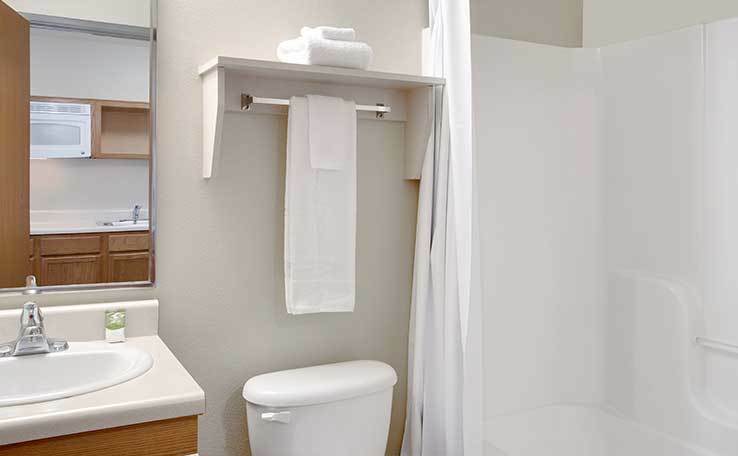 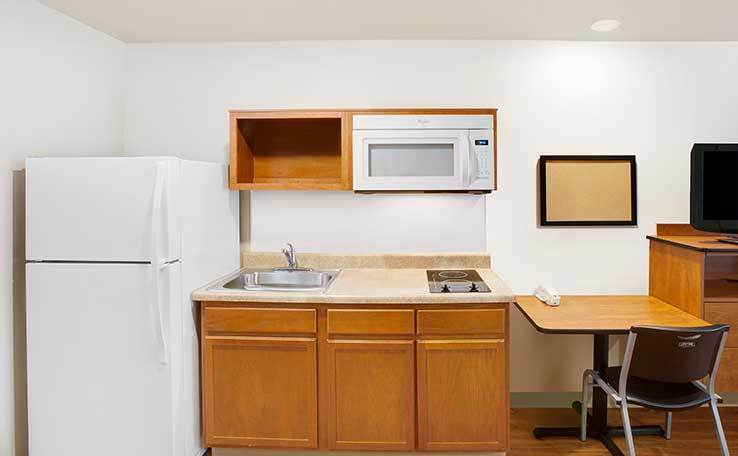 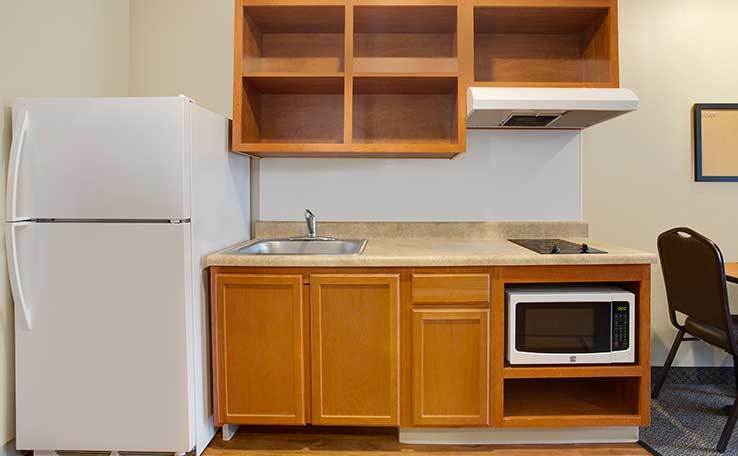 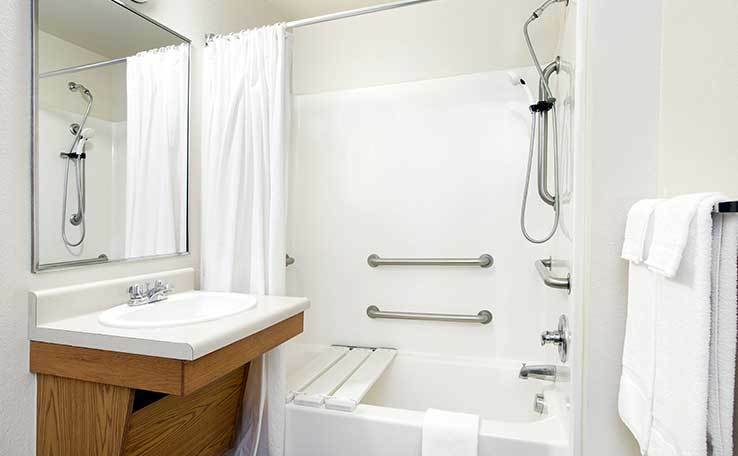 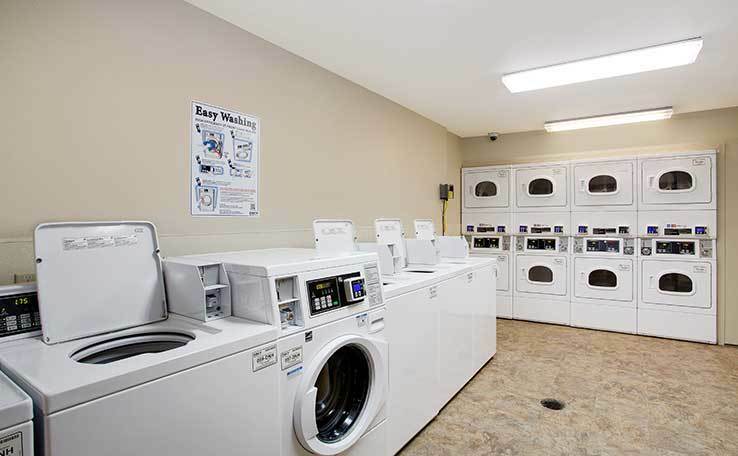 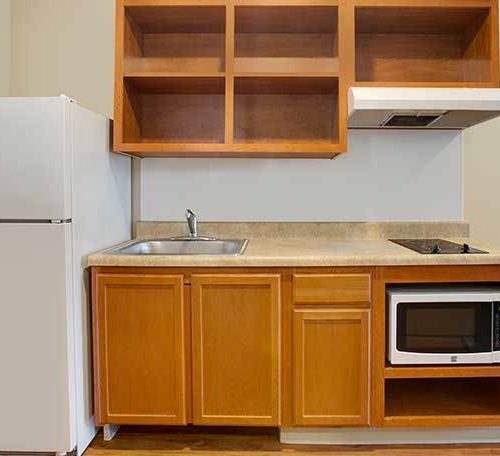 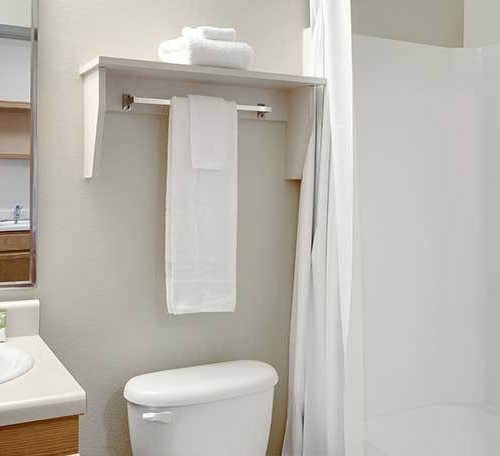 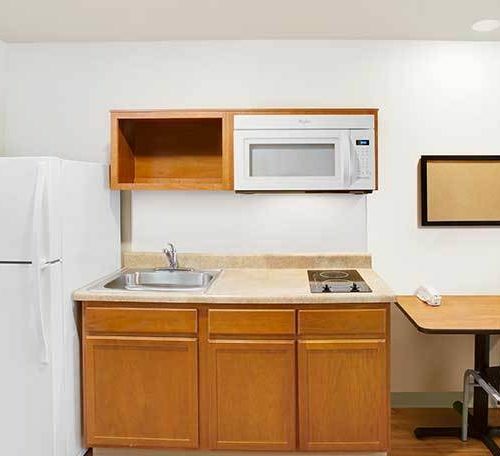 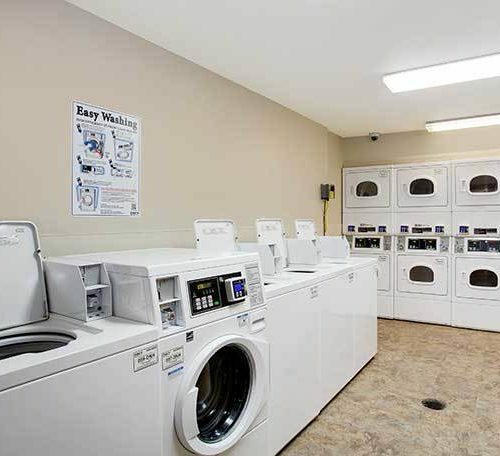 Free basic wi-fi, free parking, and 24/7 guest laundry room, vending machines, and staff support available to all guests for the duration of their stay.